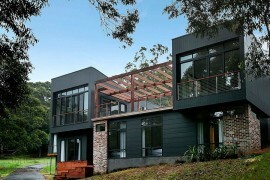 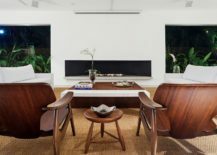 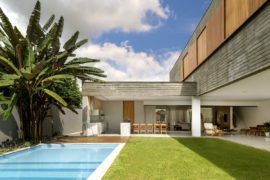 A big part of modern home design is finding that balance between complete privacy and an ability to interact with the surroundings and enjoy the outdoors without any hindrance. 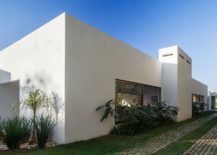 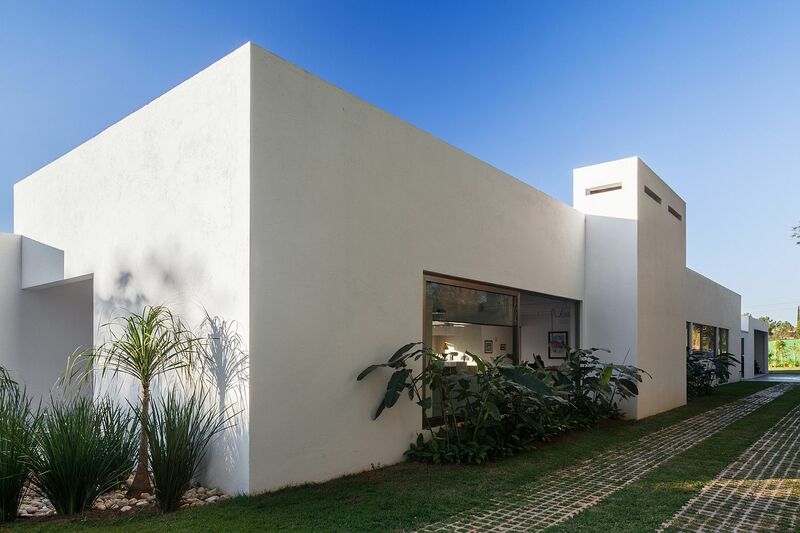 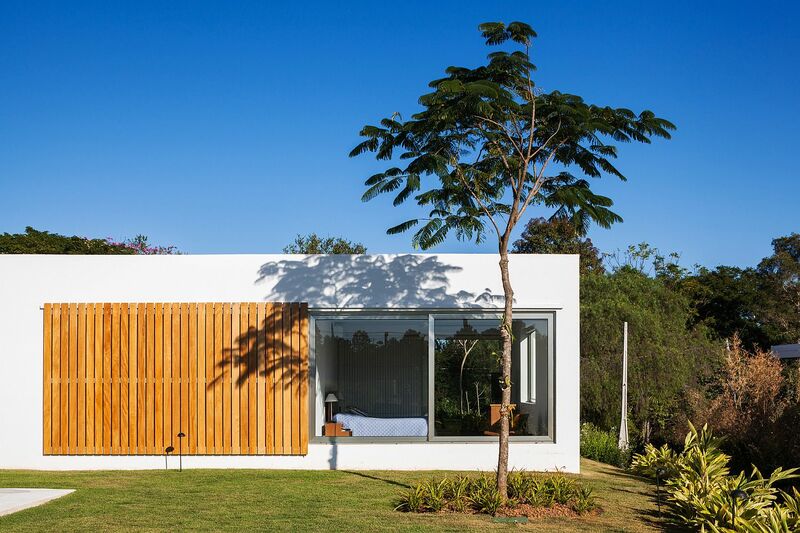 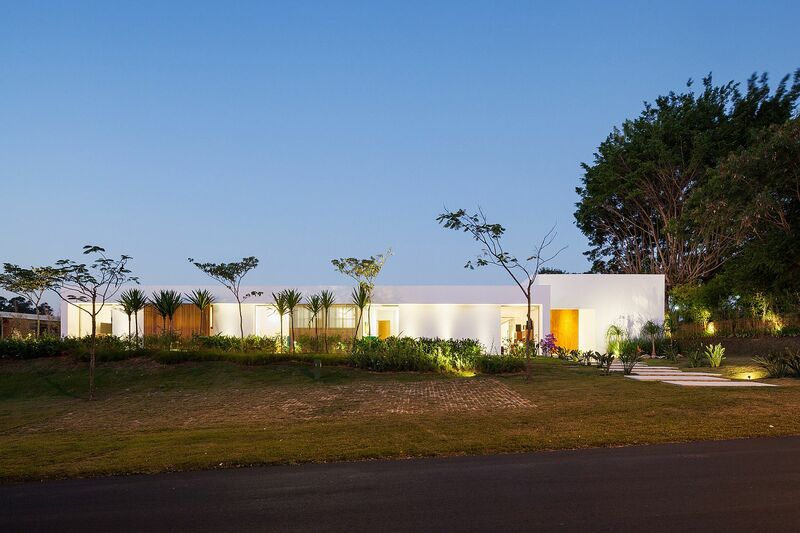 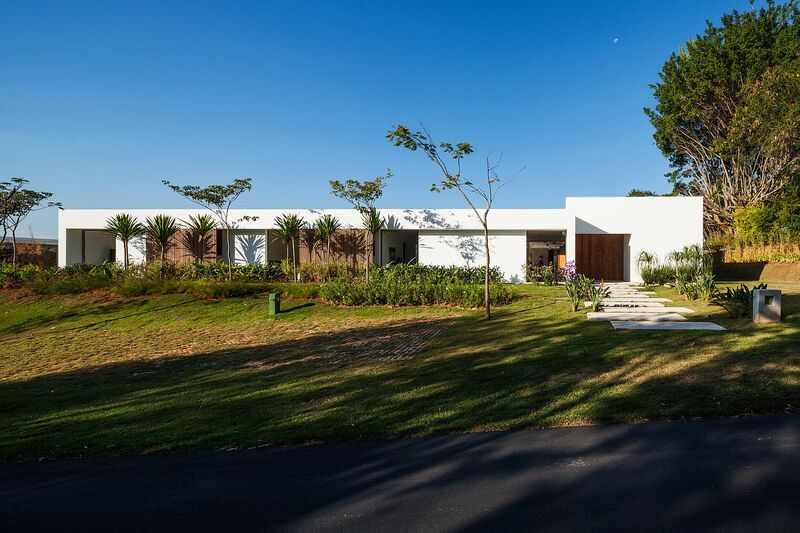 Bringing these two contrasting worlds together in an uncomplicated and effective fashion is the TSJ 01 House designed by Studio Gabriel Garbin Arquitetura in Itu, Brazil. 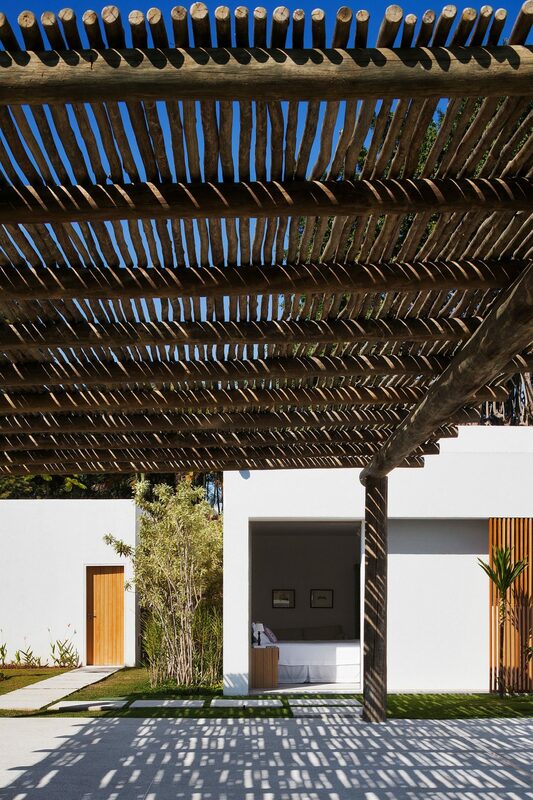 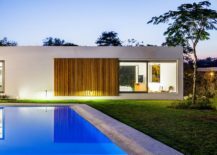 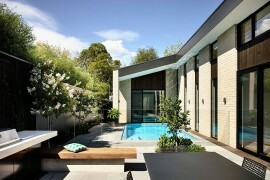 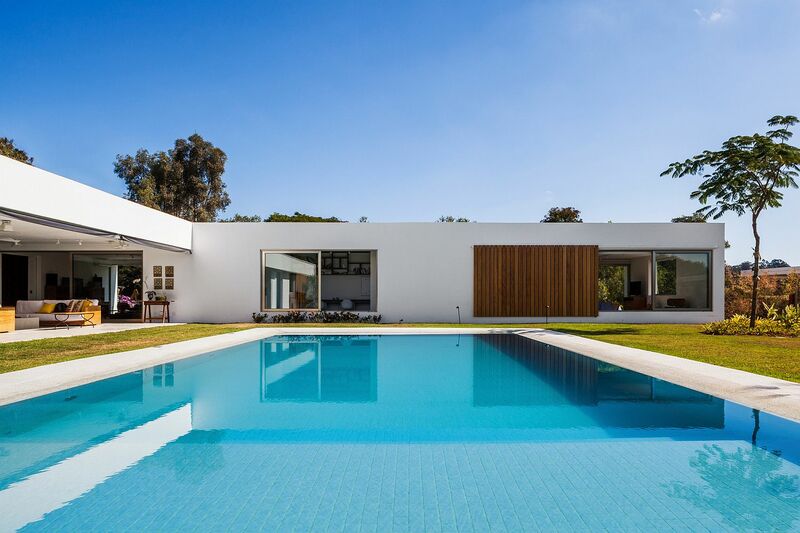 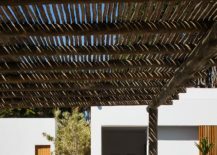 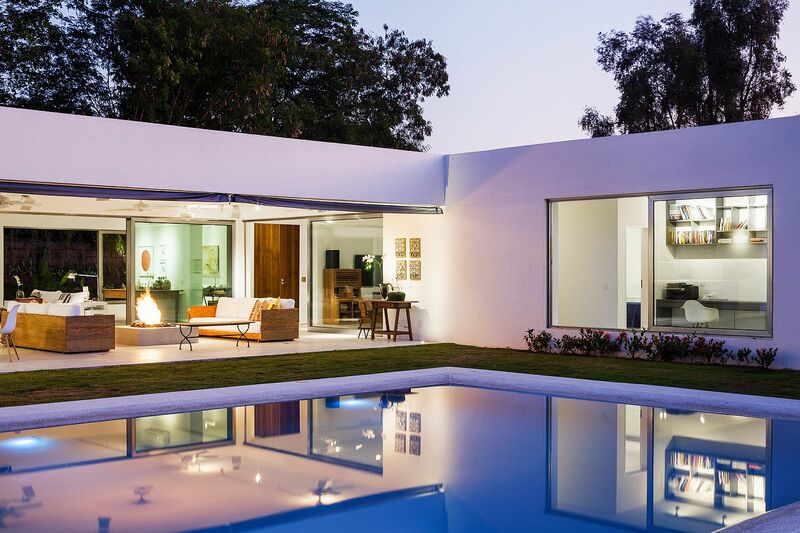 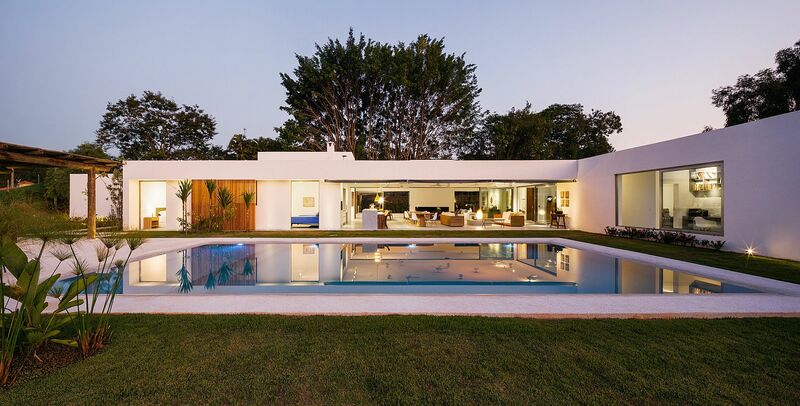 The basic design of this house is simple with the space created by the L-shaped structure being turned into a gorgeous outdoor zone, pool area and garden. 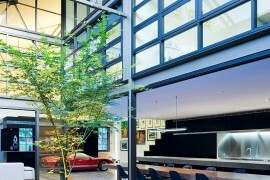 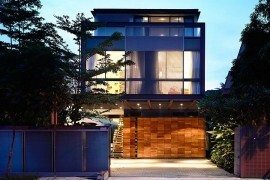 On the other side is the street façade that keeps out prying eyes even while providing a lovely entryway. 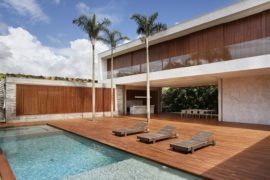 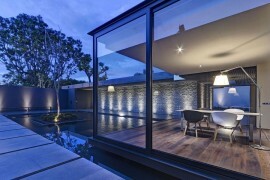 Despite the presence of large windows, floor-to-ceiling glass doors and a pavilion-style living area that completely opens up towards the courtyard, the house feels entirely secure. 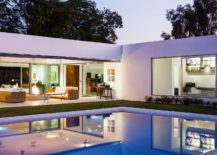 Clean lines, an exterior draped in white and modern décor give it a crisp, contemporary appeal with the social zones and living room at the heart of it all. 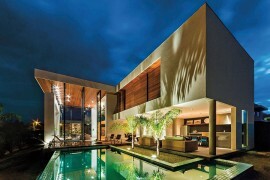 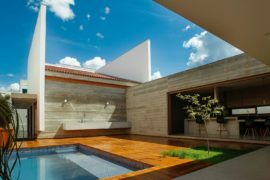 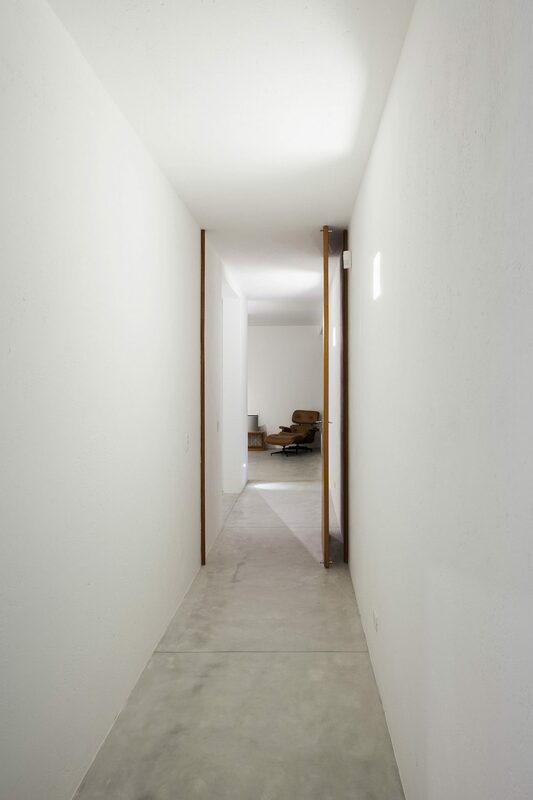 Either ends of the house contain the bedrooms, bathrooms and the more private spaces and a transition between the interior and the courtyard is seamless and natural. 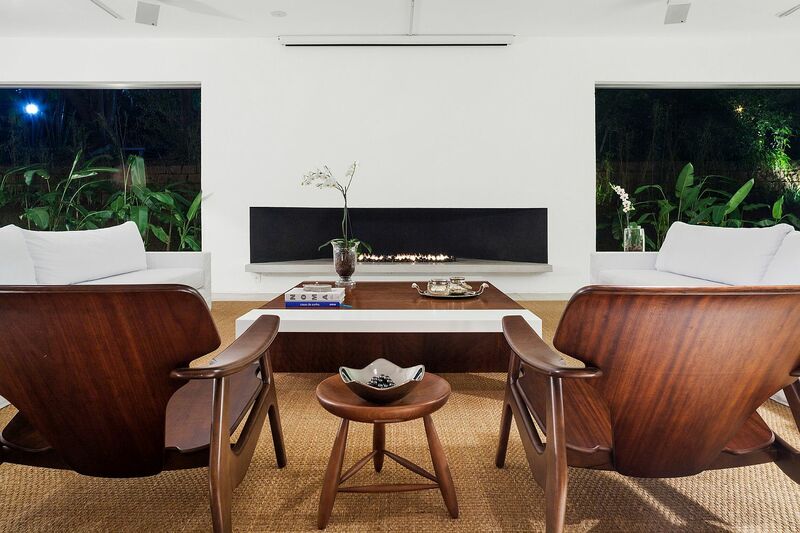 With no shortage of natural light, a cheerful and refreshing ambiance holds sway inside.